When you were a student at NMSU, did you and your friends study together and work through challenges? Maybe there was a professor who invited you to office hours to discuss your cornerstone or capstone project. Perhaps you met with an alumni from your industry who mentored you on how to land your first professional position? Life is interdisciplinary, and engineering is, too. Today’s employers look not only for top-notch skills in math and science, but solid communication skills and entrepreneurial thinking. This concept drives the College of Engineering Learning Communities. The engineering industry needs team players that understand the value of collaboration in producing results. Through these communities, students can find assistance with academic challenges including upper-level peer tutors in math, science, and core engineering courses. These communities provide an atmosphere where faculty members can host "pop up" classes for students to attend to collaborate and learn in an engaging environment. Thanks to generous support of alumni and friends, our college has smart rooms and equipment to allow this type of learning. Now, we need your help to support student mentors serving as Peer Learning Facilitators. 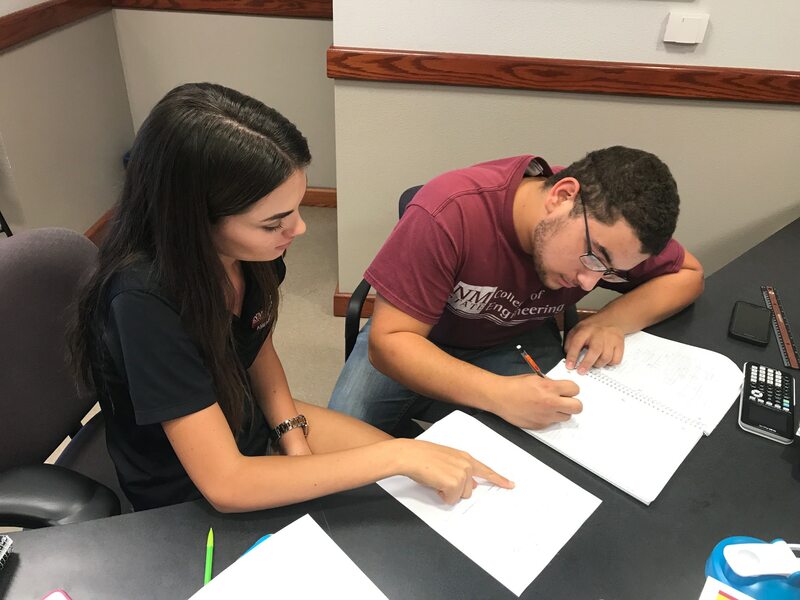 These top-notch students work as tutors, provide academic support, share knowledge about existing campus resources and enable quality peer-to-peer interactions to ensure engineering students receive an interdisciplinary education. In this special place, academic and social team-building interactions take place to create engineers ready to meet the interdisciplinary demands of industry. Investing in Engineering Learning Communities makes an impact on our students. Please make your generous gift today, and become a part of our learning community! Your donation is an investment in students and supports their academic progress.